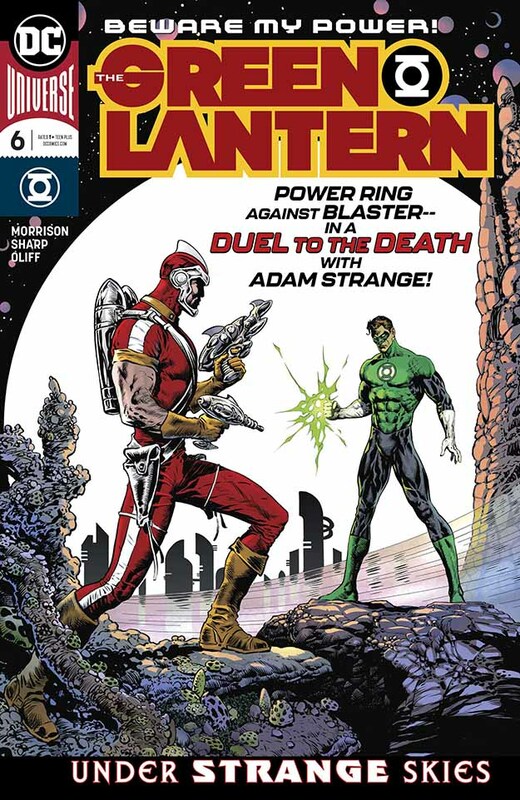 Despite the cover image, Hal Jordan is on Rann not as that world’s Green Lantern, but as Parallax, a new recruit of the Blackstars, as organized by Controller Mu of Maltus. Mu has kidnapped the child of Adam and Alanna, and Adam himself is a prisoner who Hal is supposed to kill to prove his loyalty to the Blackstars. Of course we also know that Hal has been sent by the Guardians of the Universe to infiltrate the Blackstars and neutralize their universe-destroying weapon, the Ultimate Bomb. As Mu and his Blackstars control Rann, how can Hal possibly achieve any of his goals without hurting his friends? With great writing and art, this title is still making me happy. Recommended. This entry was posted in Uncategorized on April 15, 2019 by Todd.